1. 27% of all accidents are cell phone related. 4. Three types of distractions manual, visual and cognitive. In 2013 AAA did a study measuring cognitive workload comparing different driving scenarios with various technologies. What was found was while hands-free technology measured slightly less distracting than hand-held devices, new speech to text technologies measure significantly more distracting than both. Obviously, this brings about a huge opportunity to solve this problem. I am fortunate enough to sit on a board of a company that is run by a college buddy of mine and his father. The company is called Dock-N-Lock (www.dock-n-lock.com) and if you ask me they are onto something big. Dock-N-Lock forces the driver to dock their cell phone in the dashboard in their system before the car can even be started. To me, this concept is brilliant and I am confident it is going to take off in the very near future. Jeff Pothul and his team (not much of a team yet since he and his dad doing much of the leg work on a shoe string budget) have been working their tails off to get this product to market. It has been pretty cool for me to watch as they go through the daily ups and downs of starting a new business. It brings back memories for me of when I was first starting integrateIT. I had days where doors were slammed in my face but those were often times followed by that one day when a new door opened. Those are the days that make you keep on going. 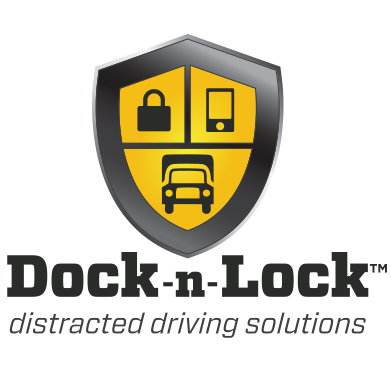 Dock-n-Lock is closer than ever to bringing their product to market. They will be performing their first Production pilot next month for a large trucking company that is considering installing their devices in their fleet. They also already have 2 additional pilots set up in the coming months. The product will be coming to market in the months that follow with an initial target of trucking fleets followed soon after by the individual consumer market (think teen drivers!). Obviously I have a vested interest in seeing Dock-N-Lock take off but what really got me to invest in this company is the fact that I knew the team behind the idea and I love to see when entrepreneurs are passionate about their ideas and will stop at nothing to see it come to fruition. Starting a company is usually not as glorious as people think it is. You work around the clock with often little to no payoff and you often times work for little or no compensation in order to keep costs down. That’s why when I see someone that I know succeed in their quest to get a new company/idea up and running, it makes me smile. Jeff and his dad are closer than ever to seeing their dream come true…and that’s pretty cool. If you are interested in investing in dock-n-lock, your time is NOW. Contact jeffpothul@dock-n-lock.com for more information.